This post is for avid gamers as well as concerned parents. From the point of view of a student, the university years are prime time for video games, especially if you live away from home. Freedom and autonomy are at their highest, but not without responsibility and the need for self regulation and time management skills. Games are really entertaining so when the competition for your time is academic work it’s a big fat test of your self-discipline. Many of us fail that test, including 20 year old me. Let me be very clear up front: I think video games are awesome and I play them myself – however most gamers don’t realize that overplaying actually affects their gaming, not just other important stuff. If you notice that you’re getting frustrated it’s probably from either playing too frequently, playing too long, or sacrificing sleep. You don’t have an endless well of concentration to draw from even though gaming has a low energy cost. Don’t play without purpose. Don’t chase success if you are frustrated. You’ll get further away from the fun you think you are having. Session times will start to lose their fun factor beyond 2.5 to 3 hours(roughly) because your concentration will weaken. That’s one of the reasons why the saltiness becomes worse after a while. You expect more success than you are getting but you are subtly playing worse or simply irritated by things more easily because you are growing more tired. If skill is important to you, slip in some planned practice time as a warm up to your gaming session the same way you would do drills in basketball. This way you can start to play well sooner, and feel satisfied sooner. Make sure that you have a goal for that session, whether it’s mobility, strategy, aim, or whatever you want to work on. Improvement takes longer if you’re just relying on the hours in the chair playing the game. It’s tough for something to be habit forming if it’s not happening every day. Max out your gaming time at 4 days a week, and you’ll notice that a nice bonus is that your games retain some novelty and actually continue to be fun when you play them. You’ll also perform well because you’ll have a fresh head. For a more in depth look at these ideas, check out the Intelligent Gaming Guide. Part one is about why you want to game intelligently. Part 2 is all about how to do it. There’s a lot of focus on teenagers and their gaming, but nearly 80% of gamers are over 18. When we become young adults who are leaving the nest, it’s a big change. Most notably, you become the driver and start to make the decisions, but up until then your parents drove and you were riding in the back seat. When passionate gamers find themselves entering a new chapter of independence, self-regulation becomes more important than ever. Strict house rules that were enforced by parents usually don’t cross over when we move out of home, so overindulgence is pretty darn common. but there’s still concern that many young people who go to university or college don’t engage with their studies when they get there. They may have absolutely nailed the high school experience under the guidance of their teachers, parents and peers, but struggled to find the motivation in university. Let’s be honest, there would be a fair few gamers that made it to university because they were smart, not because they worked hard. It’s tricky because when you don’t have to work for something you can sometimes lose perspective of its importance. Whether it’s spending too much time partying, playing sports, video games or whatever else freedom seduces us with, there are far too many students who don’t make it past their first year, even if they are smart. Gaming has been identified as strong contributor to this problem because of the nature of how it motivates players, and how easy it is to access. I think that because gaming was so easy to do in my dorm room and much more interesting than the reading I was supposed to do, (my fault – I found a more interesting program later on), I wasn’t learning what I needed to outside of lectures. It was a big wake up call for me when I had failed a couple of midterms and made some serious changes to get back on track again. I changed degrees to something more suited to my interests and my motivation to study was back on track. Some are not so lucky. Some don’t really leave their rooms. It’s easy to blame the video games for this, but underlying mental health challenges play a big role when people isolate themselves and escape from their real world responsibilities. In that case, the gaming is merely a coping mechanism. Still, it certainly doesn’t help that game design uses clever mechanisms that are designed to keep us invested in them so we play them longer. I’m not just talking about furthering your education and graduating with hopes of a career. I am talking about the clubbing, the socializing, the dating, the sporting events, the celebrations and yes, even the study groups. Gaming is a great enhancement to our lives in the right amounts, but if it gets in the way of what could be the most important and memorable years we’ll ever have, it’s not worth the few extra hits of dopamine. I think that “Addiction patterns” is not a bad way of putting it since there is no official diagnosis for “video game addiction”. But if someone is struggling to stop gaming and it’s affecting their lives negatively, it doesn’t matter what you call it, they could probably use some help. So let’s keep it all in perspective shall we? 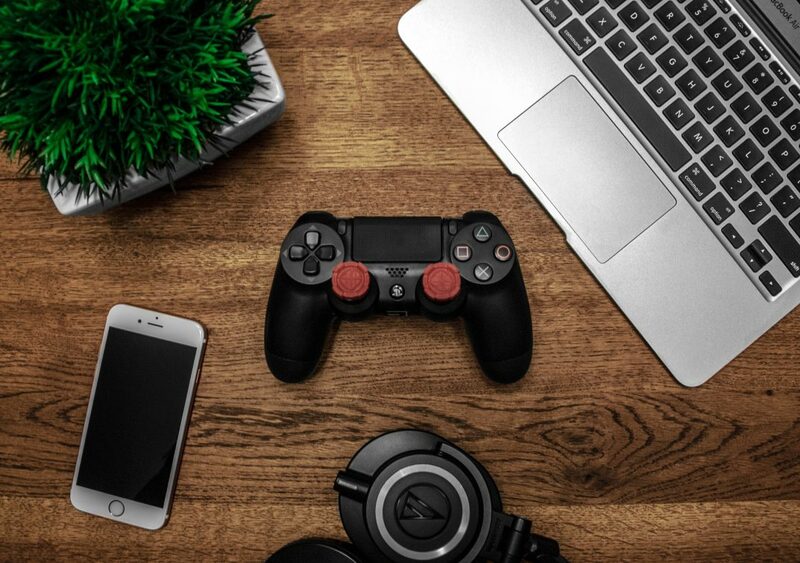 Play your favourite games intelligently so that you don’t give up the chance to enjoy all that the university experience has to offer – including a better future.